It is a truth universally acknowledged, that an extremely minor blogger with a serviceable website must be in want of a fluffy kitten. However little known the feelings or views of such a kitten may be on his first encountering a family, his instant effect on ratings is so fixed in the lore of social media, that he is considered as a key marketing tool in the battle to claw ratings from the cyber ether. Mr Shrewsday replied that he had not. Mr Shrewsday made no answer. “Do you want to know if any of them are booked?” I cried, impatiently. And that was invitation enough. Although, because I am not Mrs Bennett, (though I am perilously close) I could quite remember the particulars. A litter of kittens emerged from a respectable mother in the neighbouring village. There were quite a lot of them: one tortoiseshell, one black, one silver and a gaggle of gingers. Actually, strike the respectable part. I have no idea how these small furry assets were conceived. The mother could have had one reckless night on the Victorian roof tiles with some one-night Casanova, for all I know. I’m sure I shall be regaled with the details when I pack the kids in the car and drive off to inspect the offspring. And though it must be acknowledged that any small fluffy kitten goes viral with the ease of free tickets to Disneyland, I exaggerate the whole kitten-marketing thing. We lost the angriest cat in the world, one who made a consummate art-form of fury, just a few months ago. She had been with us for 18 years, since Mr Shrewsday and I were young newlyweds. She had developed methods of torture of which the Spanish Inquisition would have been proud. And when it was time for her to go and for us to relinquish the small ball of turbulence which had agitated the heart of our household for so long, we wept. The dog went into mourning too. He took us by surprise. We had him down as a callow soul who would do anything for a grubby deer bone and a pungent pile of fox poo, and this he may be: but he, too, cried on his cushion, when the penny finally dropped that the cat was not coming back. He hates being the only animal in the house. The children began an unsubtle kitten campaign. And it could not be long before the proverbial dominos toppled, and we began to actively recruit a young blood to join our tight-knit, high-performing, noisy, chaotic team. Yes, it will mean cat litter and smelly carpets. But it is hoped the new arrival will befriend the dog, jazz the children, dominate my husband and practice mind control on me. I have missed the feline iron paw in a velvet glove. It is time to once more guard the litter tray zealously from the dog, to hear the clatter of the cat flap. To polish off the close-up lens more zealously than even Mr Demille. To weigh up names, and speculate wildly as to how the dog will ever cope with training a new kitten. It is time for a new player in the company. Posted in Shrewsday MansionsTagged cats. kittens, family, humour, Jane Austen, lifestyleBookmark the permalink. Awww, I bet yours is even cuter when it arrives. I was looking at kitten pics of Kimbo and Mr. Wonderful yesterday – I wish they could stay that size forever! Hope to see lots of pics of the real ginge when he or she arrives!! My dear Mrs Shrewsday, I wish you luck in your perilous endeavour. I leave my card to acknowledge this superior post. What a cutie – look forward to following how he/she makes their mark in the Shrewsday family. i wondered how long you’d all hold out before a replacement was sought! We are not strong souls, Wanderlust. It was only a matter of time. Love the way you wrote this! A new burst of joy is about to descend upon your fair household. let us hope that the newbie does not try to dominate Master Mac. Looking forward to the pics of the new one. Will hasten to take some tomorrow, Lou! Nope, that’s just some stunt cat, Jas.The REAL feline Shrewsday will be revealed shorty. Provided I can get him to say cheese. Bring on the gaggle of gingers! Now to choose which one, Marco! All of them ha ha ha! How exciting is that? Looking forward to a new personality in the Shrewday Mansion and hearing all about it. Maddie befriends anything, Debra. A regular St Francis. Found her spider whispering this morning. I can’t wait to meet the new Shrewsday! We’ll send him to Lou’s party, Andra…via skype or sum such newfangled modernery. Excellent idea, we’ll have virtual kitty litter in Queen A’s office for the newbie. Not doubt the folder has been already created for future kitty musing posts coming down the bloggy chute. Kittens like puppies always seem a good idea at the time, but then the moments come ‘what was I thinking’ only to be replaced with ‘were so lucky’..
Rapturous excitement here 😀 can’t wait to meet itself! i hope you will share tales (tails?) from the audition process — and images! Are you bringing him home on Wednesday, or just trying to choose? An impossible task I imagine. i have been chosen by Cat, and rescued NotCat, so my choosing skill with cats has not been tested, but I like to think Cat chose well, and I am glad I did not turn my back on NotCat. There is nothing quite like being ruled by a furry thing with a leg at each corner and a will of iron. Is anything more fun than a new kitten!? I’m so envious (but don’t tell my 9-year-old feline). Take care you don’t come home with two or even three. It’s all too easy when they are so small and so adorable. Can’t wait for pictures! Dear Kate, I’ve been away from blogging for over a week (due to being under the weather with asthma). 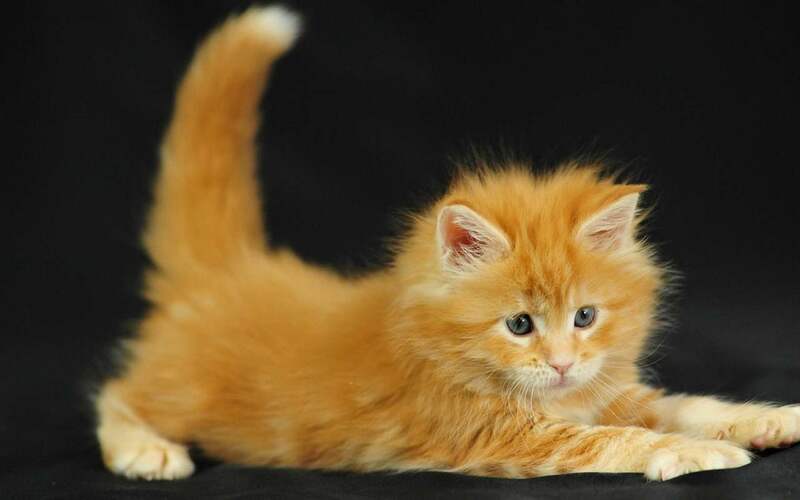 So what a wonderful delight it is to come to your blog today and discover that you are considering bringing a long-haired “fluffy” feline into your home. I remember your posting on the death of the cat with whom you’ve lived for eighteen years. And I know how hard losing a animal friend can be for it’s happened to me many times. I’m a real cat lover and writing about cats is one of the joys of my life. But to combine “Pride and Prejudice” with your decision is a stroke of literary genius!!!!! Thanks for this entertaining and rather splendid posting! Peace. Looking forward to meeting the new little bundle of fun and fur, Kate! I’ll send a quick “Wewwo!” from Spudley too, although I don’t think she’s keen on other cats herself! That orange pile of fur pictured above is adorable. Kate, I wish you the best in your search. In the past month, we now have a grandpuppy, Riley (oldest daughter’s family), and another grandkitty, Ernest Hemingway (youngest daughter, her husband and their other kitty, Princess K.C.). We have 2 cats. We got Jean-Louis and Reggie from the shelter about 3 years ago – and are delighted with them. The ginger is too cute! I loved this post, funny, sad and clever. The kitten is getting a great home. Thanks, Tinman. It is not an entirely conventional environment for a kitten. Let us not forget that my husband tucks the dog up in underpants each evening. Jane would be quite proud of your tongue in cheek opener, Mrs. Shrewsday. We shall have to compare scratches. That is the prettiest little kitten I’ve ever seen. A total poster-kitten if there ever was one! Good luck. I thoroughly enjoyed this blog. Brilliant opening, but you already know that 🙂 This makes me want go adopt a cuddly kitten! Missing the cats we had to leave behind when we made the move to the big city and apartment living. Special thoughts and love to you all, including KitKat. Jina has not returned and I know exactly what you mean about missing the “feline iron paw in a velvet glove”…exquisitely expressed 🙂 So happy to discover your beautiful new bundle of “mind control” though!